Come out for some February fun to make decorative bird feeders to hang under cover. Bring your own cup and saucer if desired. All other supplies included. 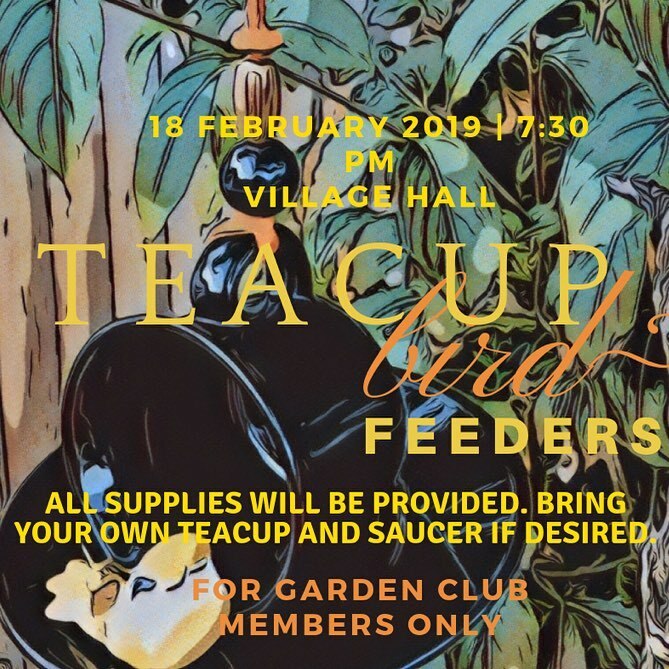 This event is for garden club members. If you’re not a member and wish to participate, bring $20.00 for yearly membership dues. We welcome new members and have speakers, crafts, share plants and organise the community cleanup of Spirit Park each spring.